A severe illness or injury while abroad can result in a huge financial burden for a visitor - not only in medical bills but also in emergency evacuation costs. 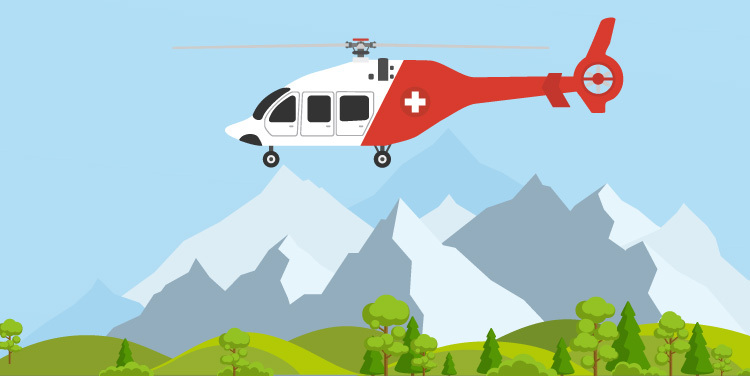 Emergency medical evacuations are not only for travelers who like to climb mountains or visit remote places where medical care may not be present. If you are in a traffic collision, for example, and end up badly hurt, you could be facing extensive treatment in a hospital. After you’re stable, getting home could prove difficult since commercial airlines will not transport those who are ill or in need of special care. A train crash sends your entire family to the hospital in a foreign country. During a cruise trip, your father experiences a heart attack and needs medical treatment not available on board. Your young daughter is suddenly extremely ill and running a dangerously high fever - you need medical help, and quickly. The extent of your injuries - this relates to the medical personnel and equipment that must be on board the plane in order to keep you alive. Where you are located and how far you have to go. Emergency medical evacuation coverage is not solely focused on getting the traveler out of danger - it also includes some other benefits that are likely to be of huge support to the traveler and their family. Arrangement and coordination for medical transport and the medical personnel to assist you in getting to the nearest qualified medical facility. Payment for the costs incurred from returning to your home country or to the country where you were evacuated from. The cost of bringing a friend or family member to your bedside while you are recovering in hospital prior to being taken home. The expenses to return minor children who would otherwise be left unattended while you are recovering to their home. In short, emergency medical evacuation not only gets you out of trouble - it returns you to the place where you started. Some insurance plans do not cover medical evacuations for an illness or injury caused by a pre-existing medical condition. Some visitor insurance plans do not cover emergency evacuations when the injury occurred due to playing professional athletics, participating in hazardous sports such as bobsledding, skiing, mountain biking, paragliding, and more. Your visitors insurance plan will not cover a medical evacuation in the case of willful self-inflicted injury. Emergency medical evacuation is only one of the crucial ways of how visitors insurance helps international travelers. 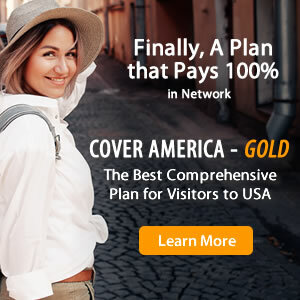 In the rare situation that you require emergency evacuation during your travels, a good visitors insurance policy will save you up to hundreds of thousands of dollars.